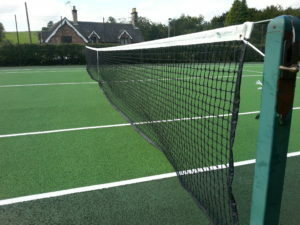 We are very lucky in Ellastone to have a superb tennis court by the bowling green and the Parish Hall. Also find us on Facebook. It has been a productive year for maintenance of the court. The fencing has now been replaced and this compliments the rest of the work. The net and posts have been replaced and the shelter has been moved to the other side of the court to be more weather-proof. Unfortunately the court was out of order for the duration of the work. There has been regular maintenance of hedges, court and flower tubs, carried out by volunteers. A new club sign is in place at the entrance. No further major work is anticipated for the next year, just routine maintenance. The committee would like to thank volunteers for their help. Thanks also to Councillor Ed Barker for help and advice on where to apply for grants that enabled us to purchase the new fencing. We have met the new Lawn Tennis Association Venue Registration requirements for 2018-19 and there is now a welfare officer in place with a DBS. New policies are in place (see below) for safeguarding and equality &diversity. These have been approved by LTA. If you are interested in using the court and wish to become a club member there is an initial joining fee and an annual subscription fee. As long as you continue to renew your membership by BACS during the following April, you will then only need to pay the annual membership fee. 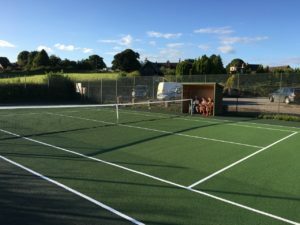 This is very reasonably priced as the court is administered by volunteers and all subscription fees go towards the running of the club and maintenance of the site. For existing members, to maintain your current membership please ensure that your annual subscriptions are paid by the end of April every year. To those supporters of the Tennis club who pay a smaller membership fee and do not play, we very much appreciate your valuable support in helping to maintain the court, thank you so much for your continued help. To maintain your current membership please ensure that your annual subscriptions are paid in April. £25 per year for a family (up to 2 adults and 2 other family members under 18 years of age). £10 per year for individual membership. There is an initial joining fee of £20 per family (up to 2 adults and 2 other family members under 18 years of age) or £10 per individual + the annual subscription fee. As long as you continue to renew your membership by BACS during the following April, you will then only need to pay the annual membership fee. 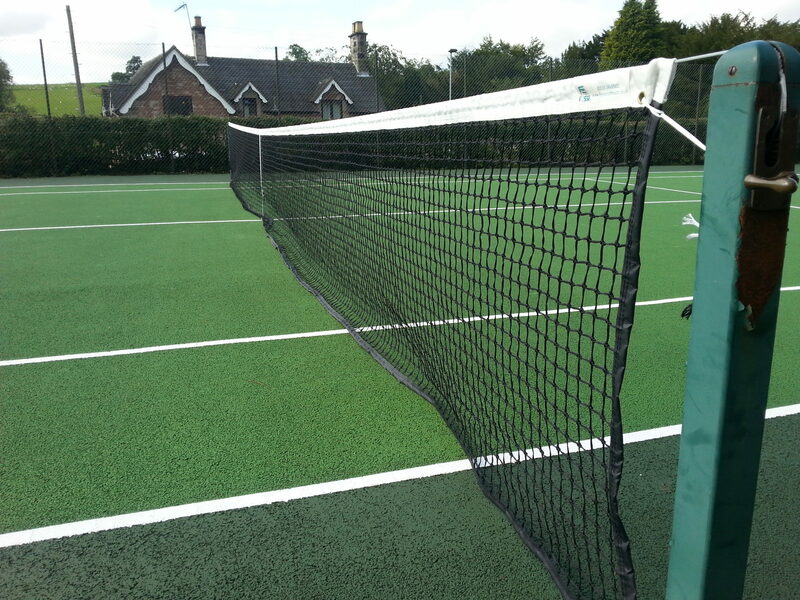 This is very reasonably priced as the court is administered by volunteers and all subscription fees go towards the running of the club and maintenance of the site. We hope you enjoy the court and the new club facilities. Bring your own Pimm’s! You can also refer to the noticeboard for details of how to join the club. The insurance only covers paid-up members of the tennis club. Therefore the court is locked and members need to ring either of the numbers below to confirm their membership and then they will receive the code – this only has to happen once a year. The tennis committee meet in the Reading Room of the Parish Hall four times a year. If you would like to consult the Minutes please contact James (see details below). You do not need to be a resident of the village to join. Anyone who does not renew their membership in April 2017 will be considered a lapsed member and will then need to re-join the club if they wish to play, paying a new joining fee for new members. It has also been decided that due to limited time and availability of the Committee Members, all new memberships will need at least 1 week from receipt of payment and membership forms to be processed. The gate code will not be released before this point. If you have not had an email please ring Rebecca ~(01335 324874). If you are a member of the Ellastone Tennis Club you are eligible for FREE membership to the British Lawn Tennis Association. – Click on the logo above for more details.